It bothers me to search for a product I need for my design only to find the manufacturer’s web site with little or no information about the product. Dead-end sites like that waste my time as a development engineer, yet reluctantly will I pick up the phone and call the vendor asking for a sales rep. Hours, days will go by before I get some answers whether the part meets my specification and cost budget. And hopefully I can have CAD models of the product, so I do not have to spend time creating my own CAD of the product. More progressive sites give me a PDF file for download. This makes it a bit easier to answer my questions before I go to a design review meeting. Having a datasheet is important, this is the first step to a sale. Having CAD helps to close the sale. Which is why I love using McMaster Carr where all that information is instantly available. Climbing Formwork Shoe. Marketing image. Developed not for product technical sales. Engineers are the tenacious type of people, they like to poke, take apart, consider “what if”, and above all they have questions. This is exactly what progressive OEM catalogs do – enable their users, the engineers, find the products, research the product and its alternatives. Taken a step further, we need data such as CAD files, instant quotes and of course for heavens sake, a shopping cart to buy the damn thing as needed. According to a study by Engineers Rule, an early integration of a vendors part’s CAD model into the final bill of material results in a sale of that product with an 80 percent statistical certainty. This is a very high success rate, just based on putting the CAD models out there, into the hands of end users, that is the buying public, decision-making development engineers. Imagine what happens if an OEM online catalog comes with a manufacturer’s sales engineer standing by you, the customer, to answer any questions you may have. Would it make it easier to understand the product, would you buy the product then? This approach of offering no-nonsense product information, pricing, and CAD is a very powerful approach to modern industrial sales. This is exactly why Amazon is winning. Offer convenience, uptime and decent pricing and you will have a strategy for the foreseeable future, a long way out. Development engineers are under pressure to meet their deadlines, their projects are increasingly more complex and these folks have little time to reverse engineer somebody else’s product only to create a CAD model to fit into their own designs. Interactive online catalogs where an engineer can quickly find the part, learn about it, get its CAD files are very likely to be the trend of the near future. Backing it up with engineering support and you have a winning combo for OEM product sales. Yet, we have so many dead-end web sites created by manufacturers of their products, where the buyer at best can find a data sheet in a PDF format and some contact information. What is the point of all the flash and animation when the buyer cannot find the product or get the product data? A simple reality is engineers do not look for web sites or manufactures; they look for products. Unfortunately majority of manufacturers’ web sites are dead-end. Perhaps manufacturers have a fear of providing CAD files and a fear of listing the price. This is common when a request for quotation (RFQ) takes a week, which is ridiculous for a part that costs a few dollars. The RFQ is more expensive than the product itself. No wonder we have a problem with long lead times and inefficient product pricing. I submit that taking advantage of the McMaster Carr’s distribution model will speed up product development cycles and secure a sale of OEM products for a progressive manufacturer. Never underestimate an engineer to surprise you with a creative solution. 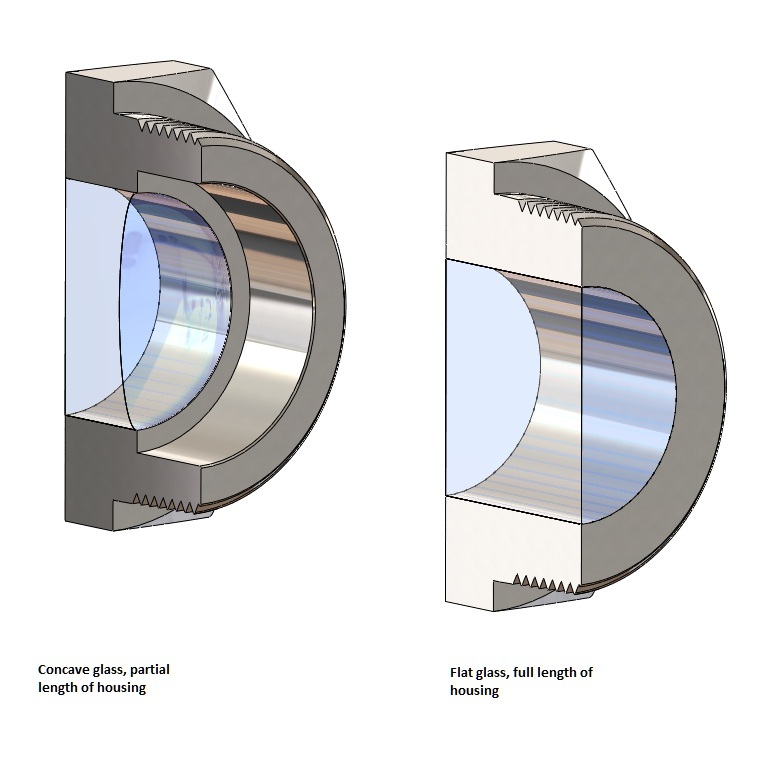 A customer wanted a sight glass that can work with a camera system. This was supposed to be a simple task, install the sight glass and look through it with a camera. For some unexplained reason the customer wanted a concave sight glass, the type that distorts the image like an obround lens. Why? Because the customer was developing a camera system that brings the image back to a flat, normal representation. This is what we came up with: offer a fused sight glass instead of a polished one. Here is what we have in mind. The picture here is a good representation of the glass after the fusing process. The customer was happy. We were happy that we made the customer happy. Yet to this day we are still wondering what kind of camera system is underway. Are we going to see a new and improved version of Light L16 any time soon? A way to see around the corners? Whatever happens, we are curious to see. I am excited to see that our efforts in web development are paying off. We are casually introducing new ways to market industrial products, which, let’s face it, are hard to market. Marketing industrial products require a lot of creative energy. Think boring stuff, think a tube fitting or a valve. How do you market a valve? Do you take it to a trade show? Absolutely. What else? We are in a digital ocean of new opportunities here. I am talking about introducing new ways of marketing engineering components. As an example, we help Swagelok customers find the fittings by creating clear drawings and product pages in a digital format, rather than a paper catalog. I am excited to see that we are receiving very specific questions as opposed to generic ones. Customers want answers for technical questions. What customers do not want is calling for help finding part numbers in the first place. Those should be found using a filter and a no-nonsense catalog layout. Product presentation is key in identifying the exact product customers are looking for. A quick specific question recently was asked by a caller, if a particular plug goes with a particular fitting. At a glance at both pages on the Encole catalog it was clear that yes, the part numbers do go together. Product page have a drawing, which helps immensely. A quality product drawing is great for the design engineer, and also helps to make a purchasing decision. This is marketing in the digital world. One takeaway from this is for industrial suppliers to take note: turn generic questions into product specific questions by better product presentation. Case in point: Swagelok tube fitting: part number SS-1610-6; and a plug part number SS-1610-P. They go together. Easy to find, easy to show. On the subject of opportunities in supply chain in 2018 I made a few observations I would like to ponder. Starting with a bit of a recap. Ideas that are easy to understand and quick to scale get the early money. It’s especially true when the market opportunity seems big. But there is a problem with that. When the opportunity seems big and easy, a plethora of similar businesses is created crowding the same space. What seemed to be quick is being slowed down by competing businesses. This changes things. The dynamics of becoming a dominant player become expensive and messy. A study by Frost & Sullivan estimates business-to-consumer e-commerce sales to grow to $3.2 trillion by 2020. The top five Apple, Amazon, Google, Microsoft and Facebook are about e-commerce. These estimates may partially include sales to small businesses and business owners. The same Frost & Sullivan report estimates $6.6 trillion in pure B2B e-commerce sales by that same year. Trillions?! Three times the size of B2C? These are staggering numbers. The opportunity in business to business commerce is staggering no matter how you look at it and whose report you read. At Encole we are seeing an increased interest among manufacturers in online representation. We are making an investment in a product discovery platform to help our suppliers. This is a hard and non-obvious building block for dominant supply chains of the foreseeable future. The quality of an article is inversely proportional to its length. I’ll make it short. I want to make a point of using our engineering skills beyond technical applications. Engineers’ purpose is to keep the world going around. Without breaking the old, with elegant solutions for the new. People rely on things we make; engineering is the most important profession. It’s taken for granted that bridges don’t collapse, cars are awesome, planes are safe, energy is sustainable, all that. Engineers ultimately support continuation of a happy life from the technology side of things. How about using all that training and experience beyond technical engineering? Can we use our ingenuity to design a sustainable life-work balance? Absolutely. It takes to be all in, no balance at all but rather finding joy in what we do as engineers and also being compensated for the work accordingly. Our purpose at Encole is to create opportunities for such a balance. Talks about too much future and not enough present create anxiety and lack of progress in the long run. Hard skills are being commoditized by outsourcing, insourcing and all kinds of financial arbitrage between labor, countries and people. I sense that technical people feel this trend more with every coming year. We must engineer a better economic stability for the very engineers who create a better world. An engineer trained to solve technical problems can also solve career and business problems. On the wave of technological and economic changes engineers will arrive at a better way to design, create, fabricate and sell things, and better connect with suppliers like never before. These are exciting times. Stability will be found more and more in controlled chaos, rather than in merit increases. It’s a fast world. Especially here in Silicon Valley; people simply cannot afford to care. The immediate burden sometimes is just too high to look for a more permanent solution. In the world of scaling fast and large, survival or rampant greed are more pervasive than caring. Yet the notion of care is a must in a healthy society. When the future seems bleak and the situation seems helpless, it’s best to focus on simple tasks that can be done today. That opens up possibilities, frees the mind to focus on the positive letting greater solutions in. It’s human to care. A happy life and a strong business are built on this basic notion. Not on short term transactional thinking, which is exhausting and not sustainable at all. What is sustainable is to demonstrate some level of care and likely be cared back. This is a very reassuring strategy, to simply anticipate the needs of the customer, listen and talk with an employee, not talk at an employee, listen and try to see something unique about people. This works every time. In business the economics of caring are staggering. Understanding and appreciating an employee or a contractor has a huge return on the investment over time, especially when multiplied by the number of people in an organization. Finding the people who truly care about what they do is key. A quick example goes something like this: Two masons are asked what they were doing. One said he was laying bricks to make a living, the other said he was building a church. The difference in quality of the finished product will be obvious. Caring is a two way street, but when employees are the type of people who generally care about what they do, and the business cares back, magic happens. Product Discovery – What Does It Mean? Product discovery is the process of finding the right product. That’s the general idea. A product may not exist yet, but the designer is looking for clues from the market, discovering anything there is to know about such a future product, so the actual product will be a big hit. For customers product discovery is just fancy language for “shopping”. Simply put “product discovery” and “shopping” are the same thing for consumers. Why is this relevant? It’s not relevant for consumers. For businesses, however, creating new products it’s very relevant. Here is why: crowded markets with many capable product manufacturers require product differentiation. This is the key. How does one go about creating unique products? Who knows. This is why product discovery is increasingly relevant in competitive markets. For engineering customers, product discovery is also relevant. This is what drives us at Encole to complete our website with the best product discovery process built in. I know, there is an engineer somewhere out there right now, trying to find the right component for his/her assignment. A technical buyer who is relentlessly typing keywords into search engines trying to find the specified product. This very minute countless attempts are taking place around the world. We've been there. We believe we have a solution to help the engineers and technical buyers design a better world. Product discovery is very relevant. Typical industrial products are not sold based on brand power. Technical buyers research them before making a purchasing decision. We at Encole have a version of one such product discovery platform, with a simple catalog structure. Like I said, it’s one possible implementation of product discovery for industrial components, there are many ways to do that. The future of industrial product sales is universally recognized as one with everything going into digital domains, online catalogs, PDF datasheets, as fast as possible, in any way imaginable and displayed on a gizmo near you. In a start-up company, very much like in a zen state, energy is a force we create ourselves, sales we generate as we become stronger. It's a delicate time, no doubt. Balancing the development of all systems while nurturing a growing customer base. Here is the thing, though. These are shopping cart sales from what seems like a traditional online catalog. It's March 2017, online shopping carts have became traditional, can we say that? Not much excitement about another online catalog company, unless we engineer product discovery into the catalog. So, why so excited? Because there is a limitless and untapped supply of products to be discovered and properly cataloged, we are talking about industrial, well established products such as valves, pumps, and fittings. These products are the underlying infrastructure of any well-functioning machinery that makes city life, transportation, power-generation, food production, you name it, possible. Yet, these boring gold nuggets are left untouched by technological innovation taking place in hubs like Silicon Valley. The opportunity lies in plain view, where all one has to do is to create an intuitive discovery platform for these mature products. Another exciting aspect of this opportunity is these products do not go obsolete relative to high technology. Therefore, whatever this catalog is, it will be a stable situation for a long time. As a point of reference for industrial components, American National Pipe Taper (NPT) Standard has its 131-year birthday this year and is unlikely to change over the next 200. Composite materials, 3D printing and smart automation will not change the basic principal of a pump or a valve. So, we are covered against obsolescence, another reason for excitement. We have our work cut out for us adding more and more products to the catalog. Practically everything that is plumbed, pressurized, inspects or measures levels, temperature, pressure, vibrations and velocities needs to be discoverable in a better way than simply a dead-end datasheet in a PDF file living somewhere on a manufacturer’s website. The engineering community is ready for a change in how industrial products are found, researched and presented. Author Alex IvaschenkoPosted on March 29, 2017 March 31, 2017 Categories Business StrategyTags Industrial Catalog, Product DiscoveryLeave a comment on Product Discovery – What Does It Mean? L.J. Star continues to innovate in the area of sanitary hardware components. The TCI ClampConnect™ is a sanitary clamp that joins two pipes or flanges together without introducing gauling of wetted surfaces, making the new sanitary clamps more sanitary for SIP/CIP applications. See Product Line. The new design works such that during the clamping action, there is no rubbing of surfaces against each other, thus no metal shavings or scratching of surface finishes. The new sanitary clamp has a trade name TCI ClampConnect™. 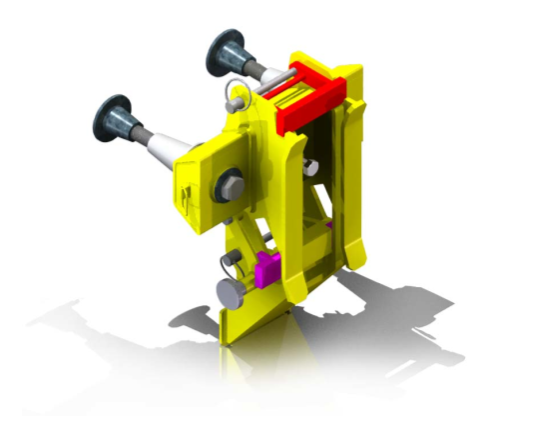 The advantage of this clamp is elimination of friction or shear between touching surfaces. There is no particle generation when the clamp closes or opens, making the TRI ClampConnect™ an ideal solution for joining pipe ends in critical sanitary applications. 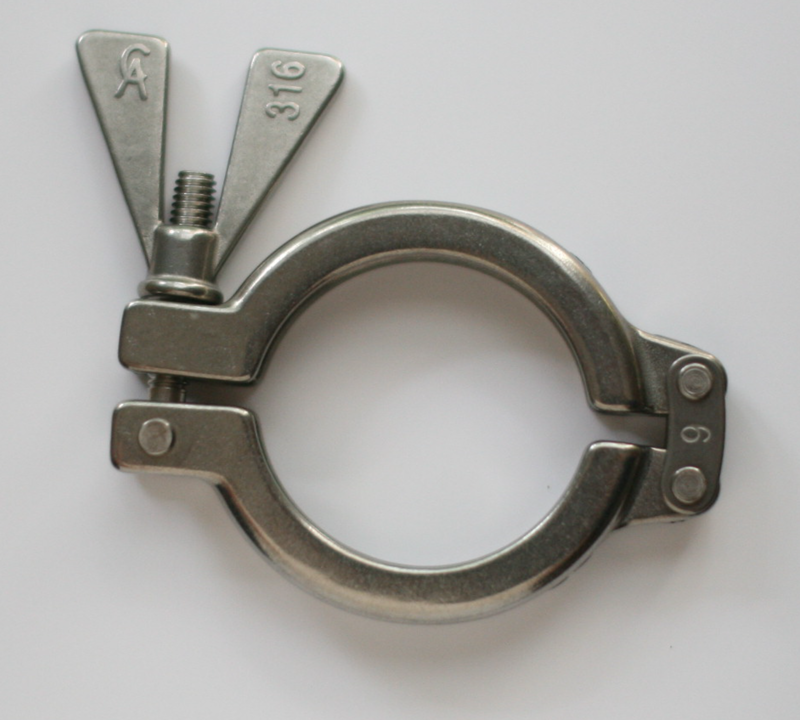 The clamp is designed to work with standard pipe sizes. Nominal pipe sizes for tubes and flanges can be confusing. First, NPS defines standard sizes. More specifically, NPS defines a pipe’s outer diameter and flange inner diameter. This standardization is important because of pipe and flange interchangeability from various manufacturers. NPS is the single most important parameter of a pipe or a flange. By specifying the nominal pipe size which is a dimensionless number, most other actual dimensions of the flange follow from the standard. For example, ASME B16.5 Class 150, Size 8 instantly defines the flange outer diameter, thickness, and the mounting bolt pattern. Let’s define NPS one more time. Nominal Pipe Size is a dimensionless number that indirectly relates to the pipe or flange physical size. The importance of having NPS in the industry is two-fold: it makes products interchangeable, and in a conveniently simple number NPS presents multiple actual dimensions of a flange. DN stands for Diameter Nominal loosely spelled from the French “Diamètre Nominal”. DN is the European equivalent of American NPS. In other words, for every NPS number there is a DN number; for example NPS 3/4″ is equivalent to DN20. This means that a pipe having NPS 3/4″ can also be defined as DN20, where 3/4 (0.75 inches) approximates the nearest standard size in millimeters which is DN20 since there is no DN19.05. Conversion from NPS to DN is straightforward, where the number in inches is converted to millimeters and the DN is the nearest standard size up or down. NPS 1/8 is DN6 because there is no DN less than DN6, NPS 1/4 is DN8 because DN6 is taken. The larger sizes make more sense where NPS 3/8 is DN10, with 9.525mm rounded up to 10mm which is standard DN10. And so on. There are plenty of NPT to DN conversion tables available from pipe and flange suppliers. NPS and nominal flange size refer to the same dimensionless number. In other words nominal pipe size and nominal flange size is the same number, except NPS defines the pipe outside diameter, while nominal flange size defines the bore diameter of a flange. Think of a pipe and a flange being welded together. They will have the same nominal pipe size. Of note, blank flanges are also governed by the nominal flange sizes, where a bore can actually be machined in. ASME B36.10M governs the dimensions of welded and seamless wrought steel pipes. This is for pipes made of carbon steel. The standard standardizes pipe outer diameters and also wall thickness. A typical pipe designation will have a NPS and a Schedule defining pipe wall thickness, therefore pipe internal or bore diameter. ASME B36.19 is similar to ASME B36.10M except it standardizes the dimensions of stainless steel pipes. ASTM A53/A53M governs fabrication methods, material properties and testing protocols for seamless and welded steel and hot-dipped galvanized pipes. ISO 6708 is the European equivalent of the ASME B36.10M and ASME B36.19 standards defining the DN of components in a pipeline system. ASME B16.5 is for flanges, not to be confused with pipes and tubes. ASME B16.5 governs dimensions, pressure classes and shapes of flanges. Shapes and sizes of vacuum flanges are not governed by any of the ASME standards. Typically vacuum flanges are measured in millimeter units, they fall under ISO dimensioning system. Vacuum flanges nominal sizes are, as in NPS in ASME flanges denote bore diameters, not the outer diameters, except for Conflat flanges, where a DN size indicates CF flange O.D. We use this chart when making female NPT threads in our fittings. The data is based on practical experience with Go/No-Go gauges fitting threads. 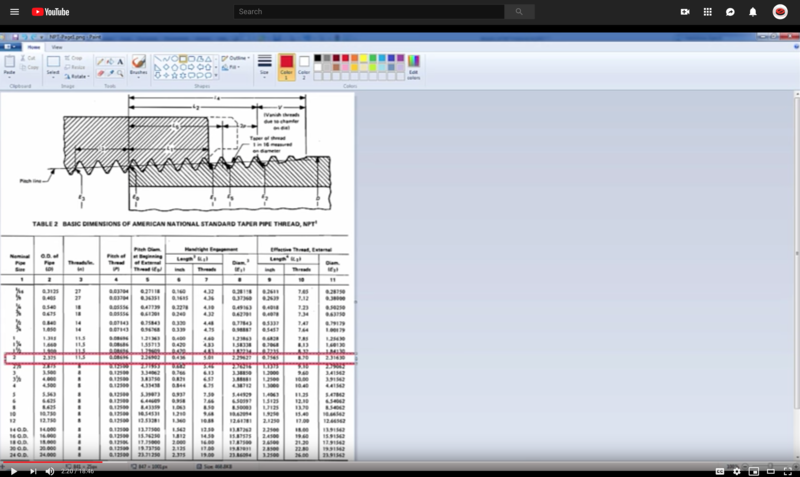 If you use reamer having the target diameter, your CNC operator can figure out the rest of the taper machined into the fitting. Use the Target Dia. from the attached table; your product will fit and will pass the inspection with the gauges. We made a video about it.